It is barely half-past January, and it has been non-stop at our practice since the day after Christmas. Over the next week, I’ll be catching up with several blog posts that never got completed as I was running from conference to conference and dealing with several urgent client situations. Last year was great for investors who owned equities, and (like the last six) less than mediocre for those not members of the investor class. U. S. stocks out-performed foreign, small companies beat large, low-quality trumped high quality, and growth narrowly edged out value. Bond prices fell, as the 30-year bull market in bonds finally, and definitively, came to an end. Cash yields remained near zero, punishing savers, but helping big banks coin record profits. Investor sentiment improved dramatically during the year, and was reflected in flow-of-funds data, with the biggest inflows to stocks in years. An interesting footnote – the best-performing asset class over the ten years was the worst-performing over the last twelve months – emerging markets. There was a continued disconnect between Wall Street and Main Street. Economic growth remained weak and unemployment high. The official unemployment rate is 6.7%, down from a peak of almost 10% in late 2008. Job market participation by adults is the lowest in 35 years, but the number on Social Security disability, like food stamp recipients, reached all-time highs. The economy showed hopeful signs of sustainable growth, almost five years after the technical end of the recession. It was a bad year for the rule of law, and for limited government. The President unilaterally altered, then re-altered the provisions and effective dates of Obamacare, for reasons both political and practical. Senate Democrats ditched the filibuster, a protection of minority rights that dated back to the Founding. Back in 2012, then-candidate Mitt Romney promised to undo Obamare by executive order if elected, a strategy that most pundits agreed at that time was not within the President’s power. Senate Republicans threatened to use “the nuclear option” over judges back in the mid-2000s. In the event, it was the Democrats who pulled the trigger. “Sauce for the goose is sauce for the gander” is a fundamental principle of reciprocal justice. When and if the Republicans regain the White House and/or the Senate, will they follow the same tactics? How will Barbara Boxer like it when Ted Cruz can appoint to the Appeals Court, and her caucus is frozen out of the process? The Philadelphia Eagles made the playoffs. It was a good year for our clients, our business and my family, but a tough one for too many decent folks. My greatest wish this year is for a more robust economy, one that provides a decent living for folks young and old who aren’t working now. 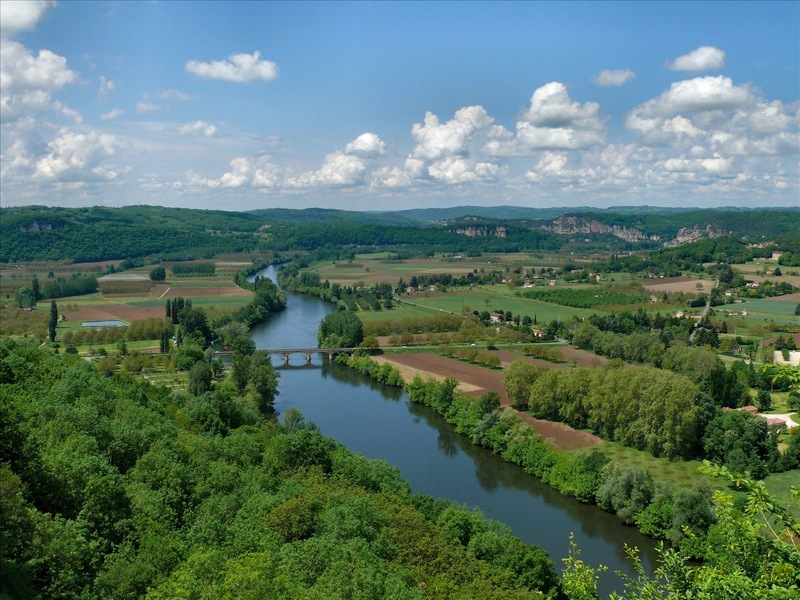 After spending a week cycling through the Dordogne river valley in France with four other guys, eating huge lunches and dinners each day, both with plenty of good wine, I’ve been thinking about how we choose the wines we drink. I’m working on a theory that there are three kinds of serious wine drinkers. My friend Ephraim falls in that category. I recall sitting on his redwood deck in Marin County with our wives, eating takeaway pasta with Bolognese sauce from the local gourmet market, while drinking, for the only time in my life, a glass of 1947 Cheval Blanc. One of the ten greatest wines of the last century, a red Bordeaux of incomparable power, grace and finesse. Sharing this bottle with Amy and me was an act of extraordinary generosity. For Ephraim, red wine was Bordeaux. Even for him, the ’47 Cheval Blanc was a very-special-occasion wine. The ’82 Mouton Rothschild was more of an everyday bottle. My wife Amy is also a “drink what I like” gal. She drinks red with everything. White wine gives her headaches. If I’m eating grilled steak, I’ll open an Aussie Shiraz, an Argentine Malbec or a French Hermitage. For roast chicken, a cru Beaujolais or a Cotes de Beaune red Burgundy. For crabcake, a Central Coast chardonnay or a white Burgundy. For pizza, an Italian Barbera, Dolcetto or Rosso di Montalcino. At a dinner party in a restaurant, I’ll ask what everyone is eating and then start searching the wine list for matches. They first choose what to drink and then decide what to make for dinner, or order in the restaurant, based on that prior wine choice. Once or twice a year my wife Amy and I do a wine dinner for charity, where we both cook the meal and provide the wine from our cellar. For these dinners, we are pulling exceptional, often older bottles of wine. Hermitage La Chapelle ’90. Rochioli West Block Pinot Noir ’94. The wine is the star of these meals, and the food follows. Of course, there is a fourth type, the person who drinks, often to excess, whatever is put in front of him, without any special regard for what it is or whether it plays nice with the food. But none of us are like that.